Piano Tuning - in your home in New Jersey! Freehold Music Center has been helping New Jersey keep there pianos in tune since 1959. A piano tuning is properly accomplished when the “A” above middle “C” is tuned to 440 cycles per second (A-440). This is done so a piano sounds in tune with a human voice and other musical instruments. If a piano has not been tuned regularly it may require additional tunings or a pitch raise at the time of tuning to restore it to it’s proper pitch, If it is needed the technician will inform you at the time of tuning, we do charge an additional fee due to the increase in time. 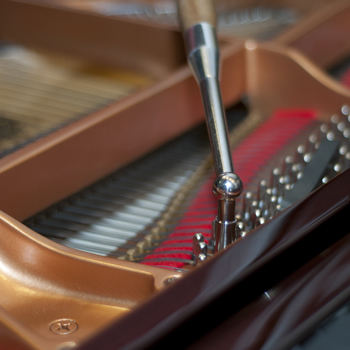 Sometimes a piano requires a little more than a tuning and our piano technicians will gladly fix any sticking keys, miss aligned dampers, dings or scratches and many other ailments your piano may face. A piano is an investment, an investment in you or your family’s musical education and in the instrument itself. In order to maximize your return you should tune your piano at least twice a year by a qualified piano technician. All of our piano technicians are dedicated professionals who see a variety of different pianos in the field. We book all of the piano service calls over the phone or in person so you have the opportunity to ask any questions or address issues and we offer appointment times that will be convenient for you. 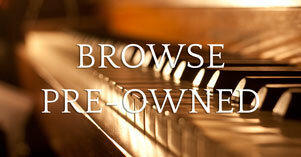 Freehold Music Center has all of your piano tuning needs covered. We service pianos from Toms River to Princeton; we are always available in the Freehold, Colts Neck, Marlboro area and we travel as far North as Edison. In addition to piano tuning and regulation we also sell, maintain and install; Piano Life Saver System by Damp Chase. Click here for a list of pricing!